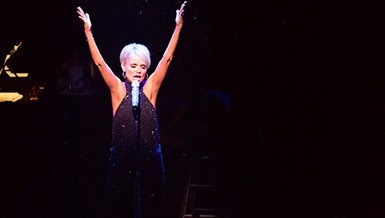 Emmy and Tony Award winner Broadway star Kristin Chenoweth is performing at the Royal Albert Hall for one night only on Saturday 12th July at 7:30 pm. Kristin has received rave reviews for her television roles in Pushing Daisies, Glee and The West Wing, been a guest judge on American Idol and earned widespread acclaim for her role as Glinda in Wicked! The evening will see her go on a ride of laughter, heartbreak, thrills and great music with an array of her most memorable songs and Broadway show tunes including music from Wicked, Glee and Promises, Promises.